LAN (local area network) is a computer network that connects computers in a limited area using the network media. WLAN (wireless local area network) is a computer network that links two or more devices and provides the connection to the Internet through the access point. This example shows the computer network diagram of the guesthouse Wi-Fi connection to the Internet. 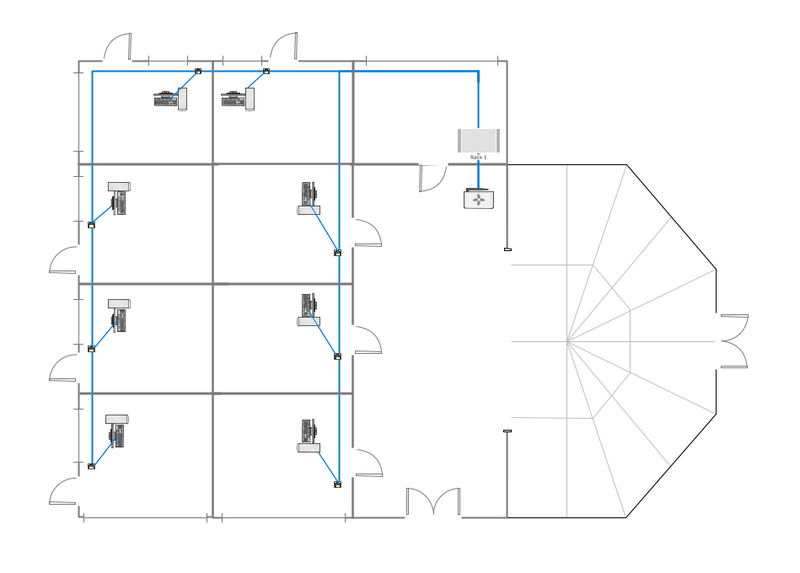 On the diagram is displayed the arrangement of the WLAN equipment that provides the Wi-Fi (Wireless Fidelity) access to the Internet on the guesthouse territory. Wi-Fi is a modern, one of the most perspective for today wireless technology of data transmission via radio channel. It allows to electronic devices exchange the data or connect to the internet in the 2.4 GHz and 5 GHz bands.